We are located in a beautiful country setting 40 miles north of the Twin Cities. From North Branch, 3 miles west of I-35 on Hwy 95, right on 310th Ave NE. From Cambridge, 9 miles east on Hwy 95, left on 310th Ave NE. From 310th Ave NE, go 1 block, take first left turn & watch for signs. We know how concerned you are when you and your pet have to take separate vacations, that's why we built Hillroad Kennels. As pet owners and animal lovers we wanted to create a place where you will have peace of mind knowing that your pets will be safe, and have a good time while you are away. 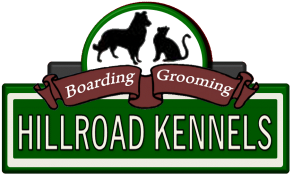 Hillroad Kennels offers a state of the art grooming facility, designed to accommodate even the largest breeds of animal.